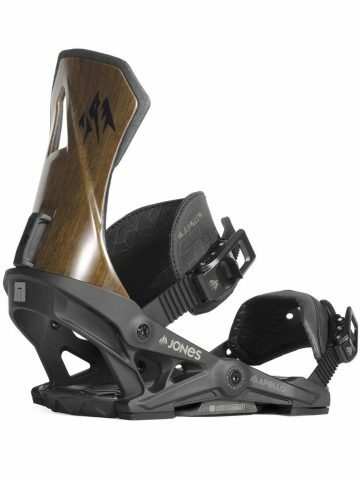 The brand-new Jones Apollo snowboard bindings are designed for the expert freerider who demands unmatched edge control, response and comfort. The exclusive Carbon Flax Highback sets the Jones models apart by blending the ECO-performance of Flax with the lightweight, torsional stiffness of carbon. The asymmetrical Highback shape follows the contours of your leg for comfort and has been pre-rotated 5° for an optimum stance.